Hello, in this post we will learn how to do e-payment of Income tax through Saral Income tax. 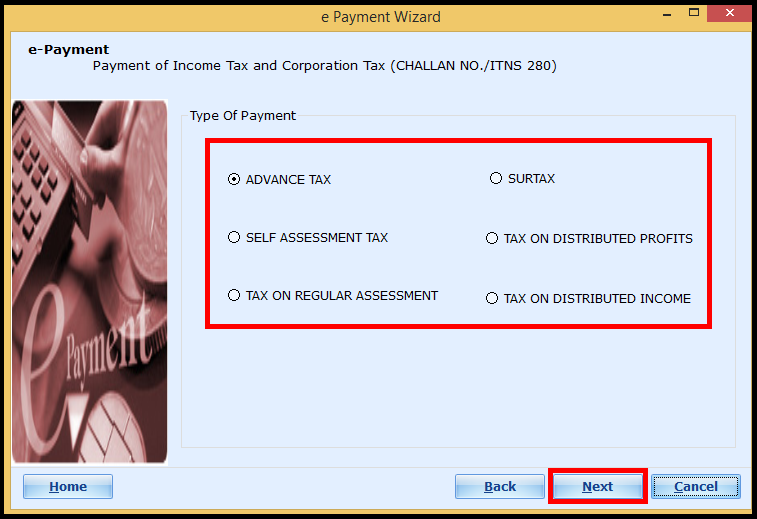 Before making the payment, enter all the necessary income and deduction details in Saral Income Tax, to compute the tax liability. Now, decide how the tax has to be paid i.e. over-the-counter or through online. 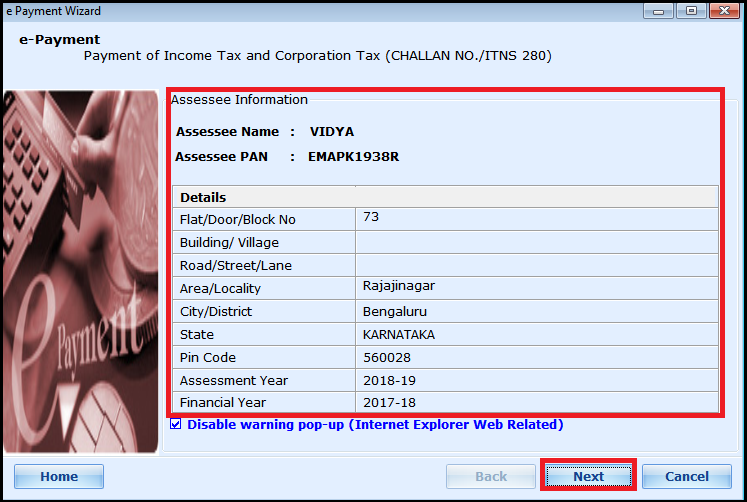 Any assessee who is under tax audit has to pay the tax through online mode. To pay the tax online through Saral Income Tax, go to e-Transaction menu and select Internet Explorer. Here, select the option e–Payment. The assessee details required for payment are auto fetched and displayed for verification. If any changes are necessary for the details, click on Cancel and go back. Else, continue by clicking on Next. Next, select the type of tax from the list shown, which you need to pay. Tax on Distributed Income: For the making of tax levied on the domestic companies for buyback of shares. 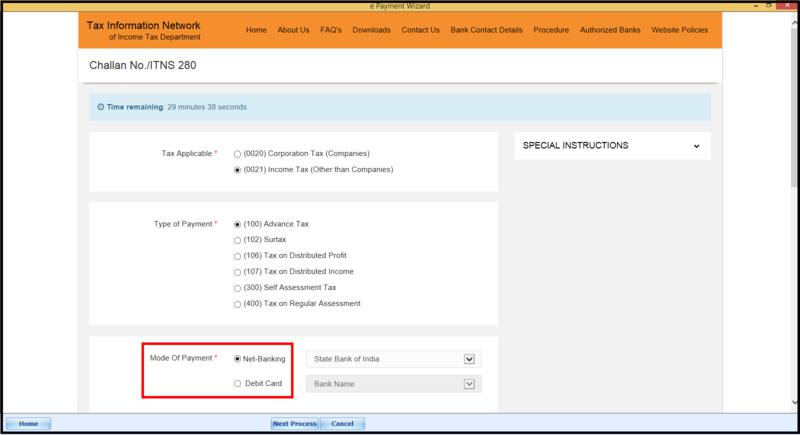 On selecting the required type of tax for payment click on Next to proceed. Now, select the bank through which the payment will be done. All the authorized banks for payment are the list in the dropdown. 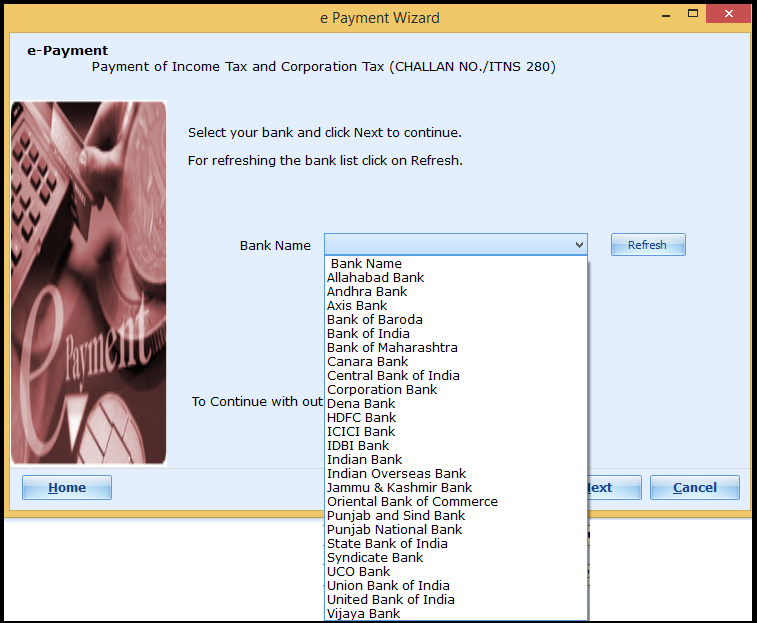 Select the applicable bank and click on Next. The details will be transferred to e Payment Wizard of NSDL-TIN website. 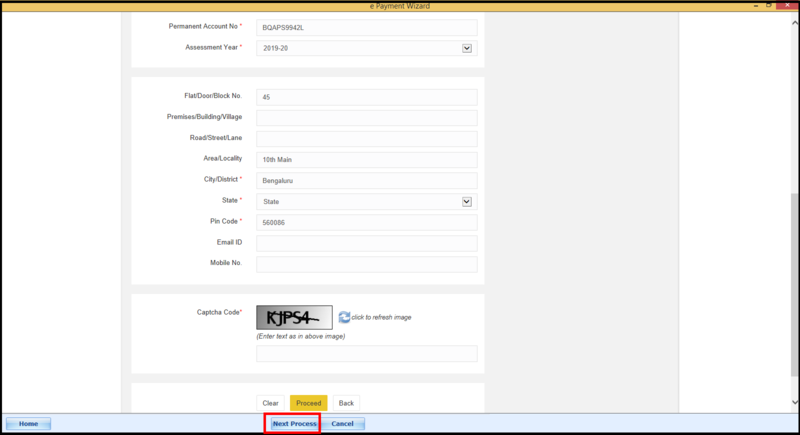 Here, verify the details and select the mode of payment i.e. Net-banking or Debit Card. Scroll down, enter the Captcha Code and click on Next Process. Now, the details are verified against the ITD database and asked for the Assessee confirmation. 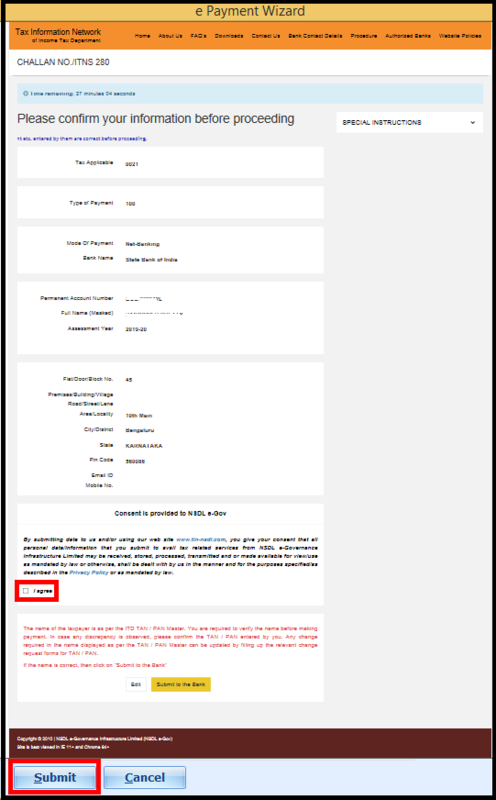 If the details are correct, tick “I Agree” for the consent statement and click on Submit to proceed for the payment. The page will be redirected to the selected bank internet banking website from where the Assessee has to continue for payment with their Net-banking credential or debit card details and complete the payment. On successful payment, you will get a generated payment counterfoil which has to be saved and kept for reference. This ends the post on E-payment of Income Tax through Saral Income tax. Comment below.